The forthcoming iOS release of Earth Atlantis from Thailand based developers Pixel Perfex now has a confirmed release date of Tuesday the 11th July 2018. Review Code is available for Press. Nominated for the best action game of 2017 by IGN. The award-winning side-scrolling shooter praised for its unique artistic style, winning the “Excellence in Art” award at BIC Festival 2016 and “Best in Show” at BitSummit 2017, will bring console quality gameplay and visuals to the palms of your hands next week for only $4.99. Targeting the gameplay of classic titles like Gradius and R-Type, injecting monster-hunting boss battles inspired by Shadow of the colossus and Monster Hunter, the concept of Earth Atlantis started over a decade ago when the game designer roughly sketched a picture of a space-submarine ship with futuristic mechanical sea monsters. The developers spent many years figuring out how to create a unique 14thcentury drawing visual style. 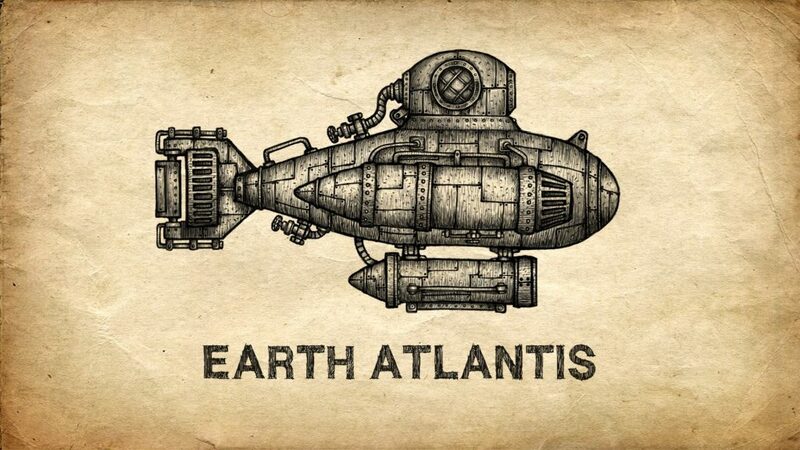 2 years ago, the team developed a technique to combine three-dimensional depth with 2D sketch-drawing and create the eye-catching art style that has helped catapult Earth Atlantis to multiple awards. Earth Atlantis was chosen by Nintendo for a timely exclusive title on the Nintendo Switch in 2017, followed by regular updates and improvements before releasing on Playstation 4 and Microsoft’s Xbox One in June 2018. The award-winning shooter is now finally coming to iOS.